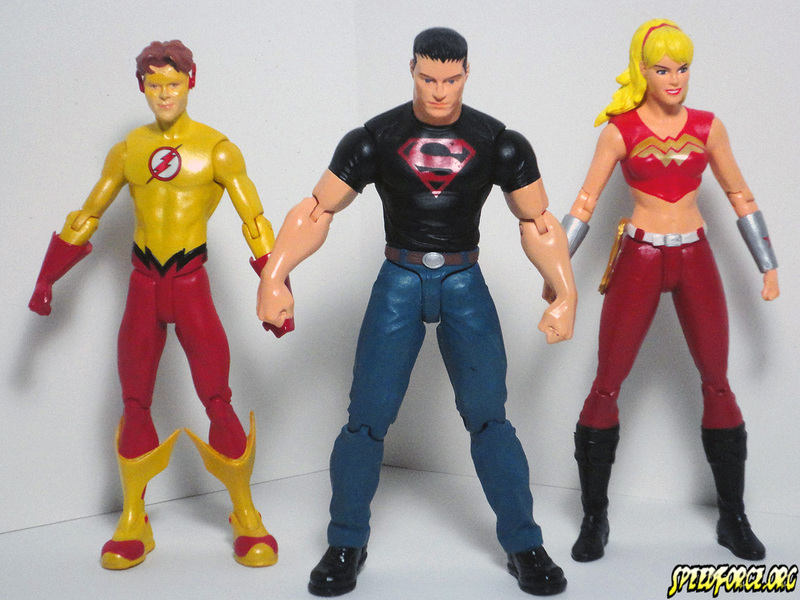 From the pages of Teen Titans, comes Superboy alongside Kid Flash and Wonder Girl. Based on designs by artist Brett Booth, these three are ready to battle whatever comes next! This preview comes hot on the heels of the announcements of action figures featuring Earth 2‘s Jay Garrick and a Barry Allen based on the latest animated film, Justice League: War followed by Forever Evil‘s, Johnny Quick. 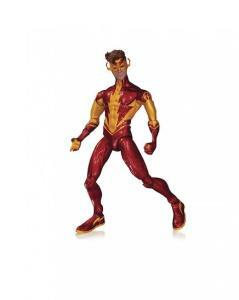 With the recent release of Captain Cold, and Captain Boomerang right around the corner (maybe if Weather Wizard, Trickster, and Heat Wave were “Captains” they’d have more figures…) this is looking to be quite the next few months for the Scarlet Speedster and his corner of the New 52. Not to mention the recently released (and hopefully in the mail) New 52 Heroes vs. Villains 7-Pack featuring a redeco’d metallic Flashand a Captain Cold (again with the “Captains”) with a darker color scheme and lacking the accessories. As a general Flash collector, I am quite the happy camper. 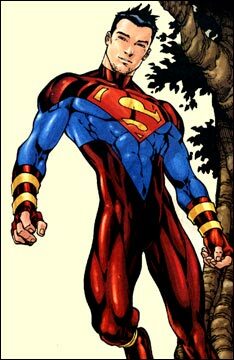 While I really dig the looks for Bart and Cassie from the Johns/McKone Titans, I will say that I have never been a fan of Superboy’s t-shirt and jeans combo that has become his most popular look. At the same time I’m not sure that Tron was the way to go when restoring his costume; that look for Kon already looks dated and it’s barely been a couple of years. I had no problem with the suit he sported in the infamous, Graduation Day(which was, in my opinion, the beginning of the end of fun in DC Comics) but every suit since has just severely lacked in the imagination/style department. Then again it is all subjective. I just wish that DC Direct/DC Collectibles had been this quick on the draw back in the last days of the old DCU. I’m still lamenting the loss of the Justice League Heroes and Foes set and we could have definitely used some updated figures for characters like Wally West and The Ray before the collapse of the old DCU. As far as the new figures go? I’m not a huge fan of these designs but I don’t hate them. Wonder Girl reminds me of a combination of Fury and Donna Troy now that I really look at it and while I definitely prefer the look of the original figure based on Cassandra Sandsmark I could definitely get down with the sculpt of the new figure. Unlike the Earth 2 version of Jay Garrick, this new version of Bart Allen has yet to grow on me. Maybe once I get all three Flashes together I will feel better about it. Since I could really use updated versions of all three figures I think I will be picking all of these up, although I have to wonder when we will be seeing the release of Red Robin, arguably the most popular character (and design) of the New 52 Teen Titans. So what do you all think of the New Titans figures? Anyone else plan on picking up all three? Please let us know in the comments below. This entry was posted in Collectibles and tagged Bart Allen, Brett Booth, Cassandra Sandsmark, Conner Kent, Geoff Johns, Kid Flash, Kon-El, New 52, Scott McKone, Superboy, Teen Titans, Wonder Girl, Young Justice on November 11, 2013 by Devin. 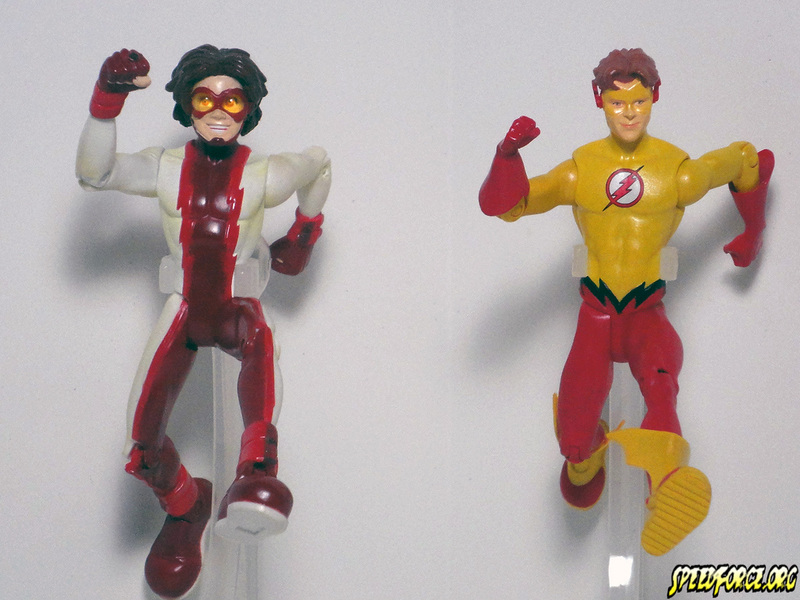 If there’s any DC52 speedster costume that can rival my dislike for Jay Garrick’s it is Bart Allen’s. Possibly Johnny Quick’s would beat them all, but then I really haven’t cared to take a good look at anything to do with Forever Evil. Okay, maybe that Justice League 3000 one is the worst. It’s hard to choose a worst. 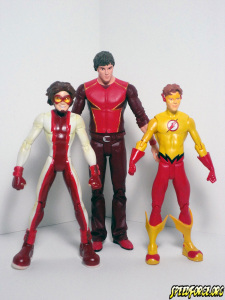 @SpeedForceOrg Do they look like the old Total Justice figures to anyone else? Especially the pose. At least they are consistent in their costume depiction inconsistencies. I remember groaning at all the different ways they could screw up the Flash belt and ear thingees. 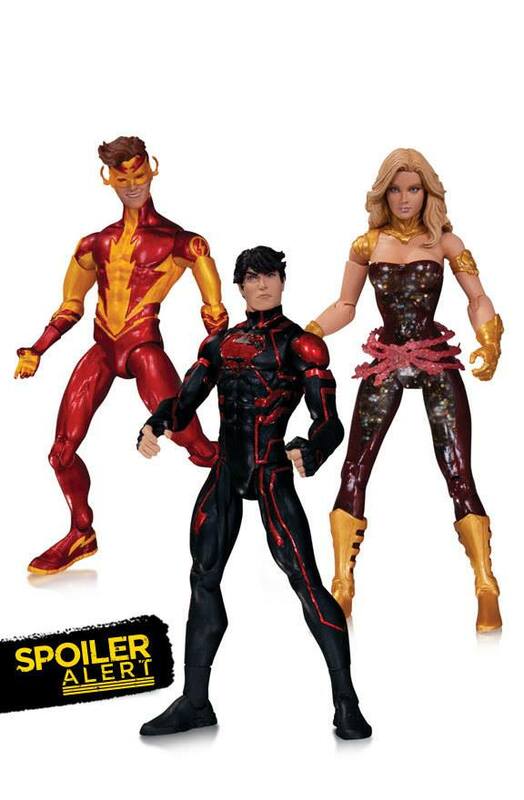 Barry’s has all the lines, but those are okay when not emphasized such as they are in that Mattel toy. I always liked the angled belt over the straight and…well, it’s very recognizable from before. I see that costume and I see ‘Flash’. I see the others and I don’t see Kid Flash or Jay Flash.